Cloudy with occasional showers. Low 43F. Winds WSW at 10 to 15 mph. Chance of rain 60%..
Cloudy with occasional showers. Low 43F. Winds WSW at 10 to 15 mph. Chance of rain 60%. The New Year was celebrated at Rolater Lake in Cave Spring Tuesday with a countdown, a splash, lots of exclamations and a penguin as the annual Polar Plunge got underway. The 35 plungers jumped at noon exactly into the spring-fed lake, which was colder than the 60-degree weather that felt good to Doug Burrier once it was all over. Some participants did just that, with some swimming from one side of the lake to the other. Meanwhile, one man from Chamblee wearing a penguin mask and dressed in a full tuxedo swam out to the floating dock in the middle of the lake and jumped off. Tom Diaz had never been to a Cave Spring Polar Plunge before, and only discovered it after the Lake Lanier Polar Bear Plunge had been postponed due to heavy rain and debris build up. 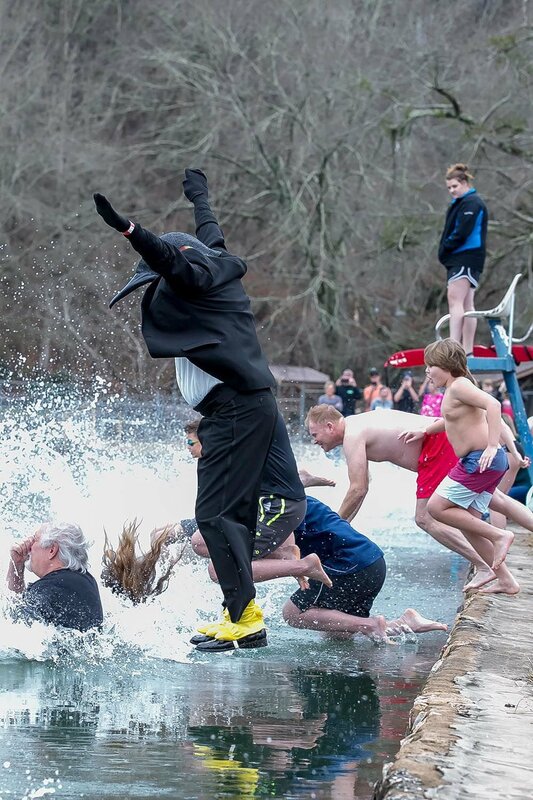 Diaz wore his tuxedo garb at the 2018 Lanier plunge and wore it again to Cave Spring Tuesday. He said the water doesn’t ruin his clothes and he is able to have them cleaned. People of Cave Spring gathered around Rolater Lake to watch as Diaz and others jumped into the water. It’s an event that brings the community together Cave Spring fire Sgt. Laron Holsey said. 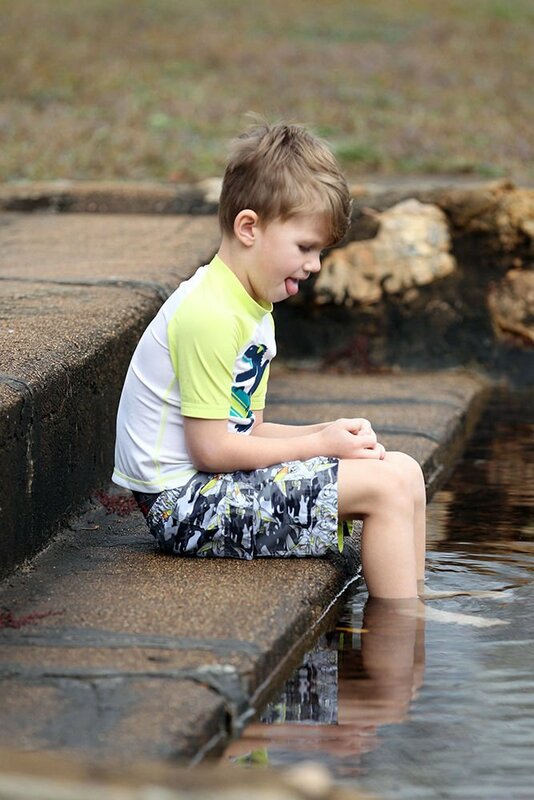 Holsey has been coming to the Polar Plunge to watch since its inception, saying this year’s event was a bit smaller, which was surprising because of the warmer weather. Holsey said last year’s plunge was significantly colder than this year with rain also being a factor; however it was something that added to the whole experience. Larry Washington, a third year participant, said it was much, much colder last year with the temperature ranging from the 10s to the 20s. Washington said he brought his wife along this year to help pull him out of the lake, something he had trouble with last year. The cost of the plunge was $25 a person and included a T-shirt commemorating the annual event. The funds go straight to the Cave Spring Historical Society which helps maintain the upkeep of the historical buildings in Rolater Park, said Callie Fricks, board member of the society. Chicken shirts poking fun at those not brave enough to take the plunge were on sale for $5. A community lunch hosted in the Hearn Academy sold plates for $5, also benefitting the Cave Spring Historical Society.